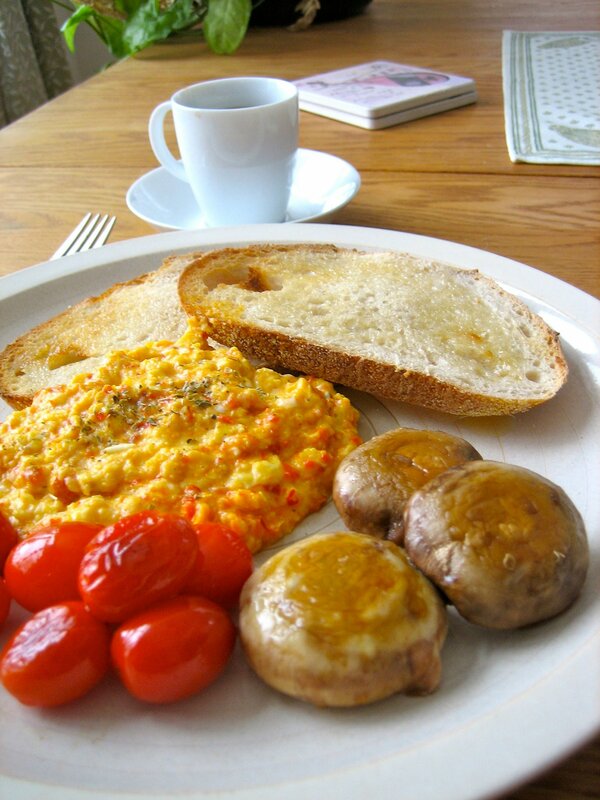 Here I made scrambled egg with Kyopoolu stirred in at the end – perhaps a tablespoon per 2 eggs. It’s delicious (resulting in a sort of sweet version of the Iranian dish mirza ghasemi), but I also love it on panini, as pizza sauce, mixed into hummus, etc. I usually make my scrambled egg like Chef Gordon Ramsay’s Sublime Scrambled Eggs. Rather than creme fraiche, I usually add a bit of sour cream and/or Kyopoulou or tzatziki (sans cucumber).